Longcast free spool reel with supersized spool for extraordinary casting performance. 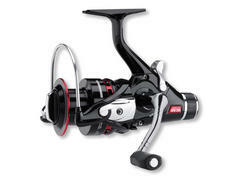 Highly modern free spool reels with black soft-touch design and supersized cold-forged super longcasting spool for superior casting distances with line retraction of above one meter. The slow-speed wormshaft system wraps the line slowly along the tall longcasting spool with utmost precision while the gear ensures high power transmission. 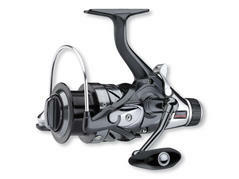 The Black Master BR 8PiF is an all-round freespool reel for nearly all kinds of freshwater fishing and convinces by its outstanding technical features combined with a price that delights. The Black Master BR 8PiF is characterized by its good processing, reliability and components made of distinguished materials. 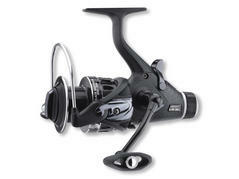 Beautiful and light freespool reels with convincing price-performance ratio. The freespool system works precisely and can be adjusted over a wide range, allowing also a completely free drawing of the line. The gearing works reliably and round with hardly noteworthy resistance at the handle – a real exception within this price category. What a reel! 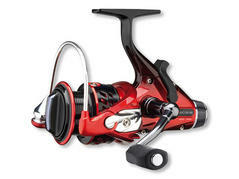 The fantastic design, the functionality of the free spool system in combination with the smooth running of the power gearing guarantee an exceptional position within the large choice of large free spool reels for this reel. The CorCraft BR 5PiF is a lightweight and affordable free spool reel for ambitious anglers, who pay attention to extraordinary shapes, compact bodies and perfectly dimensioned aluminum spools. The unique design with the decent color makes the CorCraft BR 5 PiF the perfect partner for every rod and forms a unit with rods of every design. 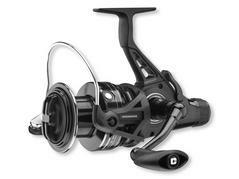 The lightweight among the freespool reels – with distinctive design! The smaller reels of this series are suited for all-round fishing for smaller fishes as well as for fishing for barbels and trouts. 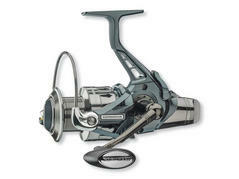 Thanks to the free spool system, they are also very well-functioning at match angling. The larger VeyCor BR 4PiF models should be applied for heavy fishing for carps or at strong current as well as at feeder fishing.